I've been to Big Sur a few times. Always as a roadtrip. And usually to go to Esalen. Flying to Big Sur is stupid and not actually possible. (I'm assuming you live in LA, because where else would you live? Please let me know.) If you did fly from wherever you are living that isn't LA (I'll pray for you) -- you should fly to Monterrey (it is the closest airport), rent a car and drive to Big Sur from there. Driving. As I am assuming you live in LA, you're driving to Big Sur. You should go to bed super early the night before your drive. Wake up at 4am, by the time you get out of bed and in your car it will be almost 5am. Stop and get coffee at a Starbucks or buy a redbull from a gas station. Get on the 101 north bound. Put Pismo Beach in your navigation and drive. In three hours, at 8am, you will be in Pismo Beach. Rent An ATV. One of the biggest complaints I hear from my friends about ATVs is that there are so many white trash people wherever ATVs are ridden that it is really scary. Just because someone has questionable tribal tats and is wearing camo with cargo shorts and a trucker hat does not mean they are scary.. I mean, maybe I don't agree with their fashion sense, but they aren't scary. Nonetheless, this is the brilliance to getting there at 8am. None of them are awake! The sand dunes and the beach are all yours. Rent an ATV from Sun Buggy. Eat Or Don't. Once you're bored of riding around the beach and forcing your friends to take photos of you for instagram, get back in the car. If you need to eat go the the Rock and Roll Diner. It's not the best food on earth, but it's 9:30am and you're in Pismo Beach, live a little, eat in a tacky rock n' roll themed dining car. If you're like me and a psycho who eats one meal a day, stop by a gas station and buy a cliff bar to keep in the car and only eat if your blood sugar gets to the level of "very unpleasant to be around". Castles. 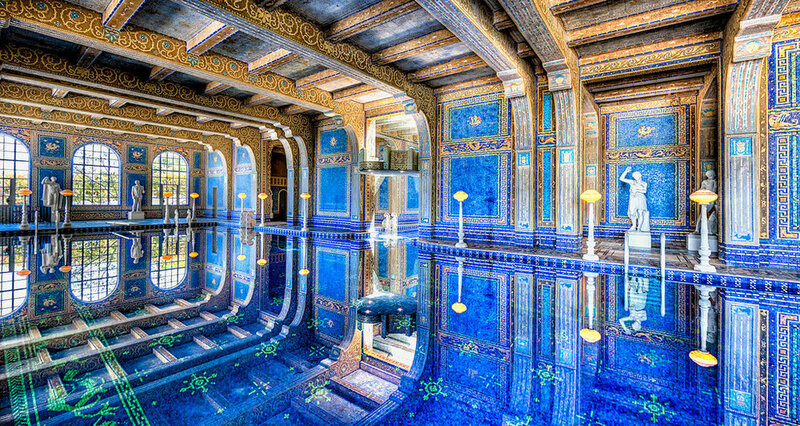 Get back on the 101 North to the 1 and head to San Simeon to see Hearst Castle. This will take you about an hour driving. You have to do a tour to see the castle, which I find annoying, so book the shortest one, this way you can wander around more and listen less. The tour of Hearst Castle will eat up about two hours of your day. You may want to eat before or after your tour -- go to Sebastian's which has AMAZING sandwiches across the street from Hearst Castle. Also they have wine tasting. Elephant Seals. They are a quick thing to stop and spend 5 minutes seeing on the way from Hearst Castle to Big Sur. 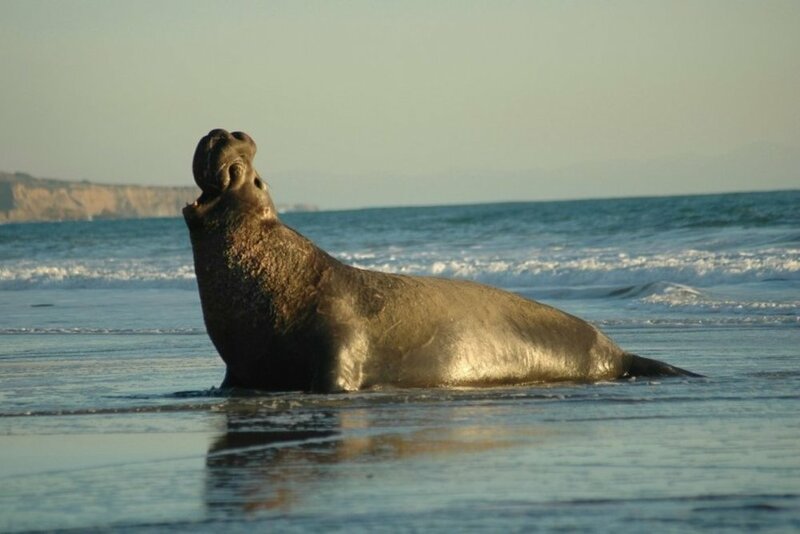 They are about 10 minutes up the road from San Simeon.